On May 15, 2014, the Federal Energy Regulatory Commission (Commission) issued a Notice of Proposed Rulemaking (NOPR) to change the Commission’s policy on open access and priority rights for capacity on radial interconnection lines (also called generator lead lines). The purpose of the NOPR is to reduce regulatory burdens and promote the development of generating facilities. The NOPR seeks comments on three proposed reforms. 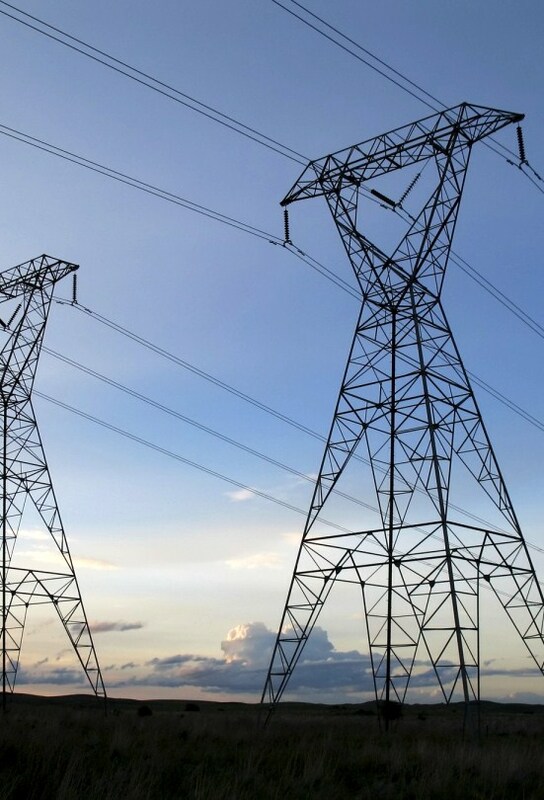 First, generators whose only transmission assets are their interconnection facilities and which sell electric energy would be granted a blanket waiver from the requirement to file an Open Access Transmission Tariff (OATT). Second, a party seeking to interconnect to, or transmit power across, a generator lead line covered by the proposed waiver would be required to follow procedures under sections 210, 211, and 212 of the Federal Power Act (FPA). Finally, the Commission proposes a safe harbor period of five years from energization of a generator lead line during which there would be a rebuttable presumption that it is in the public interest to allow the electric utility that owns the generator lead line to establish priority rights to excess capacity on the line to serve its own future generation additions/expansions or those of its affiliates. Comments on the NOPR are due 60 days after publication in the Federal Register (the NOPR had not been published at the time this alert was issued). Under current Commission policy, a generator that owns a lead line must file an OATT within 60 days of receiving a third-party interconnection request. On April 19, 2012, the Commission issued a Notice of Inquiry (NOI) seeking comment on whether generator lead lines should be treated as a special class of facilities, and whether generation developers may reserve priority rights to capacity on their interconnection facilities for future phases of development. (See our VNF alert of April 23, 2012 for more information on the NOI). After receiving comments on the NOI, the NOPR proposes changes to the Commission’s current policy. The NOPR finds that the current policy of treating generator lead lines like other transmission facilities creates an undue burden on the owners of generator lead lines without enhancing third-party access, given that owners of generator lead lines are typically able to establish priority rights. The NOPR proposes three major changes to current Commission policy, which are briefly described below. The NOPR explains that generator lead lines are by nature constructed only to facilitate an interconnection, and requests for third-party interconnection or transmission service are rare. Therefore, the concerns about undue discrimination in the provision of third-party transmission service that prompted the Commission to apply OATT requirements are typically not present in the context of generator lead lines. Accordingly, the current policy requiring generators to file and maintain an OATT (or seek waiver on a case-by-case basis) upon receipt of a third-party interconnection request “can be seen as burdensome” (See NOPR at P 24) when such generators are generally not in the transmission service business. For these reasons, the NOPR proposes to modify current Commission regulations (18 C.F.R. § 35.28) to grant a blanket waiver of the OATT, Open Access Same-Time Information System (OASIS), and Standards of Conduct requirements for any public utility that is (1) subject to such requirements solely because it owns, controls, or operates interconnection facilities, and (2) that sells electric energy from its generating facility. The NOPR also seeks comment on the circumstances under which and the mechanism by which the Commission could revoke this waiver. The NOPR proposes to direct entities seeking to interconnect to, or request transmission service across, a generator lead line covered by the proposed blanket waiver to follow established procedures under FPA sections 210, 211, and 212 to request such interconnection or transmission service. The FPA section 210 and 211 process requires that an applicant seeking interconnection or transmission service file a request for such service at FERC and that a case-specific rate be established. The NOPR proposes a safe harbor period of five years (starting from the time the generator lead line is energized) during which there would be a rebuttable presumption that the owner of the lead line has definitive plans to use its capacity. The intent of the safe harbor period is to reduce project development risk, particularly for phased generation projects. The NOPR proposes to find that it is generally in the public interest under sections 210 and 211 to allow a generator lead line owner to retain priority rights to excess capacity on its own line that it plans to use to interconnect its own future generation projects or those of its affiliates. To avail itself of this presumption, the lead line owner would be required to demonstrate specific project plans and milestones to FERC in the section 210 or 211 process. The NOPR proposes that third-parties requesting interconnection or transmission service during the safe harbor period would bear the burden of showing, under the FPA section 210 and 211 public interest standard, that the owner of the lead line does not in fact have definitive plans to use its line capacity. The NOPR seeks comments on whether a safe harbor policy is appropriate, the length of the safe harbor period, and how the safe harbor should be structured and implemented. The NOPR also asks whether lead line owners that are not eligible for the blanket waiver (e.g., because they are not “electric utilities”) should be eligible for the safe harbor if they are granted a waiver of open access requirements on an individual basis. Finally, the NOPR requests comment on whether the proposed waiver could potentially raise affiliate concerns by incentivizing vertically-integrated utilities to structure their generation and interconnection facilities developments in a way that inappropriately limits access to third-parties. The NOPR suggests that, in the case of public utility transmission providers, such concerns may warrant limiting the blanket waiver to non-affiliates (within or adjacent to the public utility’s footprint). To the extent such concerns are identified, the NOPR seeks comment on the appropriate mechanism for generators seeking interconnection or transmission access to their affiliates’ generator lead lines. The NOPR provides independent generation developers with a blanket waiver from the OATT, OASIS and Standards of Conduct regulations applicable to fully regulated, open access transmission utilities. This has been a particular concern for developers of utility-scale wind and solar projects in sparsely populated areas of the country. Moreover, the NOPR would provide a presumption for at least five years under a proposed safe harbor that the developer will use all of the constructed transfer capability of the generator lead line, thus providing a basis to impose most costs of interconnection and upgrade on a prospective interconnecting entity. The NOPR will benefit the phased development of wind and solar generation projects. However, the NOPR raises a number of issues that may affect the form of a Final Rule. Interested entities may well want to address these issues in comments on the NOPR. For example, it is not yet clear whether or how network upgrade costs incurred as a result of a third-party request for interconnection or transmission would be allocated among the interconnection customer, the lead line owner, and the downstream transmission provider. For assistance or additional information, please contact Andrew Art at (202) 298-1817 or Robin Rotman at (202) 298-1836.